Tastes can change, interests can change, circumstances can change. And while there is a certain pleasure from using a "fine" item vs a common version of that item, that pleasure may simply not be worth it. I, for example, don't get much extra pleasure from pulling a fine pen out of my jacket pocket vs grabbing whatever bic pen is in the can when I do a crossword puzzle. Others get a rush out of handling such a fine writing implement. It depends on what the focus of your life is... and perhaps, what you'd want it to be. 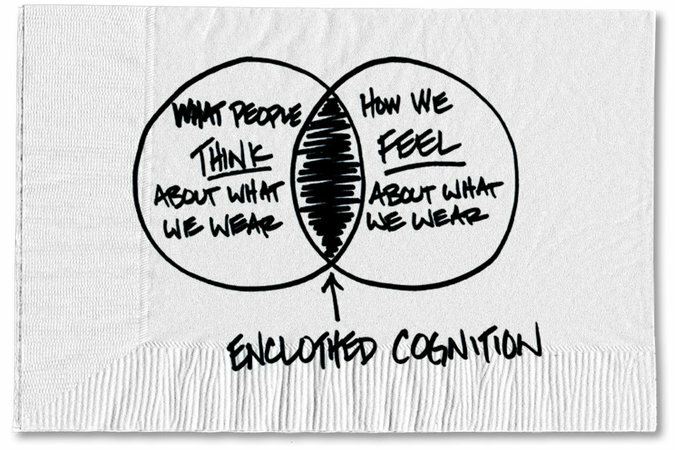 The diagram on the napkin means nothing to me - the idea that a fine item outlasts a cheaper one and is nicer to boot is valid in some cases, but don't mistake a napkin sketch for proof. Spending a lot on something means you don't have that money to spend on something else when you get tired of the thing you were supposed to love. If you have the money, and you know this is an item you'll want to keep, buying quality is usually a good idea. But not universally. Read Consumer Reports. I don't always agree with their ratings, but it's a very good starting point. You may not get what you pay for, but you sure as ch*rp pay for what you get! You definitely don't want to waste money. But what counts as wasting depends on a lot of factors. In the case of the article (the $5000 bike) in the article, this was a primary tool for an activity the writer already was going to love... that is, pursue for many years. So, yes, buying quality pays off... as long as you have the money to begin with! It's not worth going into hock over. And that's an important consideration. If you don't have the money, spending the money you don't have is usually not such a great idea. Also, if you are just a casual rider, a $5000 bike will be wasted on you. If and when riding becomes important to you, and you have the money, then pull the trigger. There's an undercurrent here too - the adage (in the article) implies that if you spend the money, that will make you love it. That is an error. It could also trap you into trying to love (justify) something you don't actually like, because of all the money you spent on it. So, get the love first. Then, if you have the money, and the item isn't a frill, go ahead and spend it. That outlay you will enjoy. For most people who hobby with expensive gear, the constant upgrading is part of the fun. They talk about it. They test each others equipment. They visit shops for testing. They make plans and budgets, and dream how everything will be great if they only had double-carbon rims. They like the temporary rush of having a new, extra-special piece of kit. They might be looking for the holy grail, but they do not necessarily want to find it. That makes his advice so weird. It only works compared to that ever-upgrading gearfreaks counterfactual. Many serious cyclists are not much into gear. They buy a 1000 or 2000 dollar bike. It also lasts for decades and they are just as happy as this guy with his 5000 dollar bike. But for the gear-loving subset, this advice just spoils the fun. It's like buying a Playmobil house to save time on building Lego houses. There's something else odd about the anecdote. What if you're in the habit of buying 1000 dollar bikes every few years, instead of 2000 dollar bikes? Do you still need to buy a 5000 dollar bike to cure that habit, or will 2500 be enough? And if your wasteful habit is to buy 5000 dollar bikes, do you need a 10000 dollar bike as cure? Luxury products come with an infinite ladder of fancier choices. It's a rather fishy coincidence if the most expensive you can afford just happens to be the endpoint that won't leave you wanting for more. I am one of those people who, if I buy something I love, will definitely get more use out of it and keep it for as long as it lasts. I think the idea is that if you're going to buy something anyway, besides looking at whether a certain model is a good financial investment, you also want to take your personal feelings into account when they're particularly strong in favor of one model over all others, even if that model is otherwise not the best financial investment. One year I asked for a Kitchenaid mixer for my birthday at an age when getting only one expensive gift instead of a bunch of cheaper ones still felt like I was cheating myself, but I never once regretted it. Getting the biggest, softest towels you can is a fantastic use of money. I love my car so much that it gets me past my aversion to driving. On the flip side, my used bike that I got off Craigslist for $175 was something I love and got more use out of because I love it - I chose it over a new bike because I never would have found a new bike that I loved as much for an affordable price, even though I had been planning to get a new one because it would last longer. I think the point of the article is not to say "spend tons of money on things you love," it's "when you find something you love and can afford, it's the best financial investment even if on paper it isn't the best financial investment." Put more obviously, that when you're looking for a new thing you should take both logic and emotion into account. It's not by any means a new idea, it's just unexpected within a personal finance article that you would think would only address the most logical side of finance. Anyway, I mostly agree - I try to buy higher quality things when I can and if I know I will use them multiple times. I think it makes sense, from the various reasons the writer points out. And there are some things that are generally considered to be "good quality" - great kitchenware (knives, pots, cutting boards...), kitchen utensils (aforementioned blenders and food processors), furniture, clothes, etc. As for games and other "entertainment" things, I often measure these things by "how many hours per $ do I get out of this?". Board games and computer games are usually pretty great in that regard - I've often played more than 100 hours on a $20 game. But, of course, it's not the only standard by which to measure things - we went to an Escape Room and that ended up being $25 for just over half an hour of playing, and movies, concerts, theaters, etc. also have a pretty low "entertainment time" per dollar return. But their "entertainment value" may be higher and still makes it worthwhile. What is your financial outlook? All these things are mutable, but they come into play in how you should think about money and its use. Speaking of those goals, how are money saving or money generating tips antithetical to a financial goal? Like whatever you love to do, you should always max out your IRA account. Or get your 401k match on. Or something basic, ease up on the booze. Save money, liver longer. sardia wrote: Speaking of those goals, how are money saving or money generating tips antithetical to a financial goal? I never said they were. But except for chance, random tips are antithetical to goals you haven't considered. No, you shouldn't always max out your IRA. Sometimes you should be drawing from it. Save money? Why? There are good answers, but unless you've thought about them, you really don't know whether and how much to save. Money has a purpose, but that purpose is up to you. Few of us are professional money managers (and anything that seems like advice should be taken with seaish quantities of the precipitate of acid/base reactions), but by responding to the questions above, commentary may be left that's more relevant and insightful for your particular situation. While those goals you posted are useful, they're a bit too abstract. That's why these sketches really resonate with me, it puts financial ideas into a concrete form. To be more accurate, putting any saving towards an IRA is the number one way to save if you're goal is to save any money for the long term. I feel you're just being contrarian when you suggest "taking money out of an IRA" at anything besides gunpoint as a possible idea. If you needed money that badly, then you either budgeted wrong, or you're probably not gonna live much longer. Certain financial advice is almost always sound 99% of the time. Like minimize your fees/expense ratio, have a diversified mutual fund, and fund your retirement accounts. The retirement accounts are funded 1. 401k up to the match(if any), 2. IRA, 3. HSA(if any), and 4. the rest into your 401k as your finances allows. Money should flow into those accounts until you hit your financial limits. Add in a small emergency fund, and that's sound financial advice for 90% of the country for 90% of their lives. It's a shame that most financial advice seems contradictory at times. These two concepts about not bowing to financial peer pressure vs dressing the part that society expects out of you. Not spending money just because others might judge you for being "other" is a very good idea...unless it's a sound financial strategy to look how they expect your position should look. I did not post any goals. I wouldn't presume. What I posted were questions, and among them are "what stage of life are you in?" and "what is your financial position?". Based on your questions and responses I would venture that you are on the young side, starting out and starting to make a little money, but with your life ahead of you. In such a position, aggressive saving is probably a good idea, and the "90% advice" you refer to is probably quite apt for you. But then you have to balance saving vs investment, and that involves another question - "How easily could you recover from a loss?" Because investment involves risk of loss, and aggressive investment entails a high risk. But some people are not in your stage of life - they are (for example) near retirement age. This is their last chance to enjoy their money. They have other things to balance - the cost of health issues, the joy they would get out of whatever the money could buy, diminshing appreciation of material goods, and the race between death and bankruptcy. I'm not advocating any position or approach. However, it's important to recognize where you are in your life and how that impacts things. If you don't consider where you are, you won't know what direction to go, or what to do when you get there. Can you explain how as one nears retirement, its their last chance to enjoy money? What kind of financial situation would a person be in where if they have a job they're secure, but as soon as retirement hits, they can't enjoy themselves? I don't think that's what he means. It's just that you were talking about putting more money into retirement plans, which wouldn't apply to already retired people. sardia wrote: I'm not sure how generally applicable this concept is. 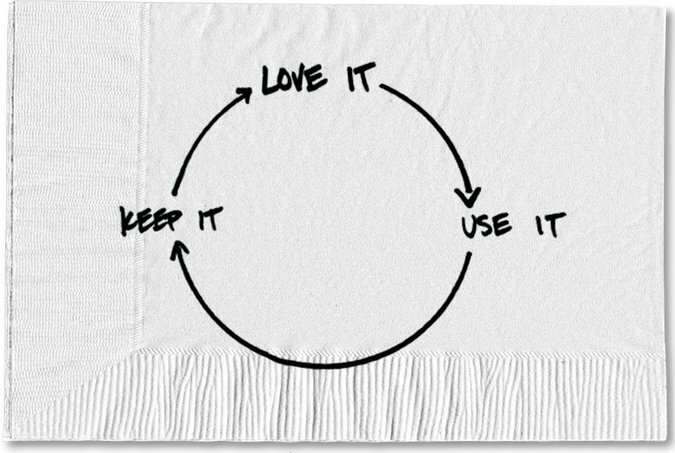 How would you know what you'll love and use forever(defined as long enough to obtain monetary savings over buying several inferior products)? Take cooking, I love to cook, but what is the super high quality item that I would love to use forever? Would it be the latest pot? My latest blender? I do agree with the idea of finding something you love and doing it forever vs jumping from one new thing to another. I.e. I own only 2-3 games and they have thousands of hours on them. My friends have dozens of games and have new ones coming every month. I've seen them jump from one new thing to another, I've been burned by the game abandonment syndrome too many times. It applies pretty well. Not universal, of course....but a BIG part of the difference between being wealthy or not is figuring out how to eliminate ongoing expenses. Lots of people have big paychecks, but it all goes out as fast as it comes in. Getting durable goods for frequently used things is good. It also, to a degree, applies to consumables. I invariably purchase quantities of say, toilet paper and the like of "as much will fit in that area of the closet" whenever they are on sale. I'm not going to STOP pooping. No reason not to, if you have the available cash to do so, and long term, it's efficient. People occasionally comment that my bathroom closet is stocked exactly like a store, and think it's odd*, but they're the ones panicking and running to the store last minute when the weather turns bad. A $5000 bike, well....look, a $5k bike isn't like routinely buying cheap bikes. The experience is different, and frankly, cheap bikes don't die THAT fast if you take even a slight bit of care of them. You are not actually going to buy $2k bikes every year. If you are, it isn't because you need to do so because of wear. So, it isn't a great example. But the boots example is one I've often loved. Walmart shoes die quick as hell, and they're not great while you have them. You definitely come out ahead on decent footwear rather than going super budget. Strictly speaking, your 401k, etc you should generally max out, or get as close as possible, all the way up until when you start drawing. This isn't the ONLY thing you need to know about money management, but as general advice goes, it's pretty sound. Almost everyone will one day wish to retire. Even if you haven't planned for it, age will catch up with you eventually. You may have a streak of good health and what not, but eventually, everyone will need money put aside. Unless you are actually planning on dying young, while still healthy, you should have retirement funds. And frankly, if someone told me that they didn't need to save because they planned on that, I'd question the wisdom of their planning. sardia wrote: Can you explain how as one nears retirement, its their last chance to enjoy money? It's not the retirement, it's just that as one gets older, one gets closer to death, and one's appreciation of things changes. Some things are more keenly appreciated, and some things fade. As your hearing goes, the money spent on a high end sound system becomes waste. This is something best enjoyed while younger (and the memories enjoyed while putting in hearing aids). You may appreciate fine wines more as you are older (and have more oenological experience), but perhaps at some point your tastes may fade too, and it may no longer make any difference to you. Things like this. Zamfir is right - it goes to "What stage of life are you in?". This applies to Tyndmyr's comments also. But there's an unstated assumption regarding IRAs and 401k plans; that being that you will be taxed less at withdrawal than you would have been at deposit. But this may not hold, and if you believe that it does not hold in your case, you should pay the taxes now, and save outside a retirement plan. (This is complicated by the interest being sheltered too, but at this point the interest wouldn't buy the postage stamp used to report it.) And while the tax-free-ness of gains allows them to compound more quickly, I'm not convinced that it makes a hill of beans difference, since they are taxed at withdrawal, so you'll never really see the bigger number work in your favor. (Again, unless you are in a lower tax bracket when withdrawing). I think the one thing people should adopt (especially while young) in their financial planning is to shed the idea that consumption yields happiness. This lets you live on less and still be happy. That lets you accumulate more. That accumulation will come in handy one day. But it's not the rule or method that does it, it's the attitude (which leads to the action) that does it. As a corrolary, people should know that higher prices do not mean higher quality. The other thing is to realize that you are not an "average person". You should not have an "average" plan. You should tailor your thinking to your situation - your age, your earning ability, your interests, your risk profile, your goals, stuff like that. Now, this is probably not unique; you'll share a profile with many other people in similar situations. But your profile will also be sufficiently different from most other people to make meaningful choices possible. Maybe putting $5000 into a bicycle is smart, but maybe it would be better to put that money into your education, your business, or your IRA. Which one depends a lot on your specific situation. Well that's one way to shut down conversation. " unless it covers everything, then we shouldn't talk. " nobody is gonna volunteer their personal finances. As a person ages in the way you describe, that sounds like an opportunity to cut costs. Why bother buying expensive food when cheaper alternatives taste the same . Here's an odd financial framing decision I heard. "What did you invest in?" "I invested in a new employee who has a PhD by hiring him. " I never considered an employee as an investment before. On one level it's ridiculous, a college grad is no different from another college grad. He was hired because he wasn't a moron. There's a dozen replacements waiting in the wings. On the other hand, it makes sense to think of people as investments that pay off for themselves. If you can acquire some of that pay off, it could be profitable to you as well. sardia wrote: Well that's one way to shut down conversation. The opposite was my intent. Of course I'm not asking for you (or anyone) to post personal info on the internet, but if the discussion does not include different stages of life, "Talking money" is vacuous. 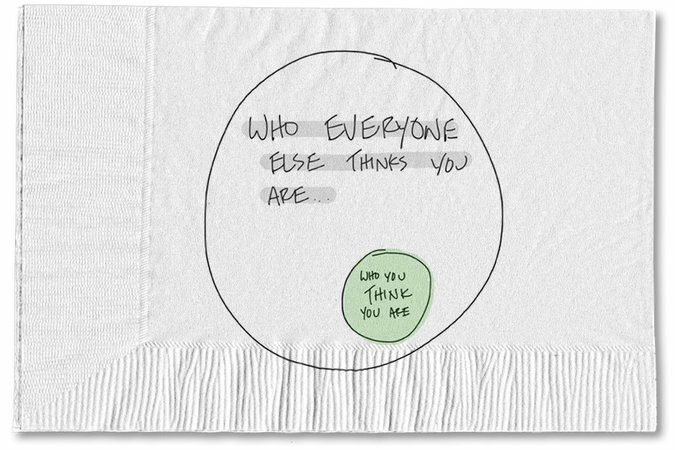 I mean, drawings on a napkin are cute, but as you aptly ask in your OP, "I'm not sure how generally applicable this concept is. How would you know what you'll love..." and the answer has a lot to do with the answers to the questions I posed. I understand not wanting to answer them on the internet, but I get the impression you are dismissing them as irrelevant. That would be a mistake. sardia wrote: "I invested in a new employee who has a PhD by hiring him." I never considered an employee as an investment before. An investment is any asset which will (hopefully) pay off in the (medium-to-long-term) future. Whether an employee is an investment depends on how you think of them and how you treat them. And also what your goals for the company are. It is most assuredly not true that "a college grad is no different from another college grad.". They have different strengths and weaknesses, they fit in differently with the company, they will forge and affect different personal relationships there, they will be more loyal or less loyal, etc. Granted that the higher up the chain you go, the more these differences are likely to matter, but thinking of people as a commodity or expense makes them into a commodity and expense. But you hired them for a reason, and it wasn't to be an expense. It was (presumably) to help the company grow and prosper. That's what investment is. Hiring the employee is just the first step. You will be putting time and money into this employee throughout their stay, as you give them salary, responsibilities, tools, access to corporate secrets, free lunches, whatever it takes for them to prosper and grow in the company, and help them help the company prosper and grow. Those are all investments too, which will (hopefully) help an employee to feel more valued, more loyal, more devoted, and in the end, more productive. By hiring the employee, you are taking the risk that they will not return enough to the bottom line to make those investments pay off (or could even damage the company), but if you play all your cards right, your company will grow through your employee's efforts. The trick (well, one of the tricks) is to choose and feed your investments wisely. An employee, a bike, a stock, a vacation... these can all be considered investments. Money, memories, connections, prestige... these can all be considered payoffs. But a common mistake is to think of something as an investment, whose payoff is not something that is your primary goal. Using the "investment" language is then just a misleading justification for consumption, and gets in the way of your primary goal. This is why goal setting is so important. By focusing on what your goals are, you then identify which things fit under the "investment language" that (bicycle?) salesmen will use to try to get your money from you. sardia wrote: Well that's one way to shut down conversation. " unless it covers everything, then we shouldn't talk. " nobody is gonna volunteer their personal finances. People are absolutely investments. The idea that one college grad is no different from another is...kind of strange, actually. There's a huge range among people in college, certainly. All employment decisions have significant costs, and if you didn't think they were worth it, you wouldn't hire them. This doesn't seem strange to me...it seems strange that people would think of it differently, and I'm not sure how you would. I would agree that, for most people, a $5000 bike is definitely not an investment. Maybe if you intend to race competitively or something, but outside of that...it's really difficult to justify. Both you and ucim are right, I think. Like ucim says, personal finances are tightly bound to personal circumstances.And as you say, that implies more personal details to have a meaningful conversation. I'll volunteer. Household: married, planning to stay that way. 1 kid for now, still working out how this affects our finances exactly. Income: we both have pretty good jobs, though not ambitious career jobs. Since the kid was born we work 4 days a week and each watch the kid for the other day. That was a big financial decision: it has a direct income effect, it affects pensions, and it will likely limit some career options in the future. Retirement and savings: our baseline is that we ride out our current pension funds and pay off a house. Or some other savings schedule, but then it should end up with a comparable standard of living. We aim for more as long as we do not encounter setbacks,, but we'll only take drastic measures if we can't maintain that baseline. Housing: we currently rent a nice house. It's not cheap, but the price is hard to beat given the location. It is small for 2 larger kids, and we're looking to buy. We have some savings and an inheritance, most of we which we plan to put in a house. There's myriad of financial choices surrounding houses... Naturally, the basic question is how much to spend. You'd like to stay on the safe side, but you also expect more income in the future, and nearly everyone regrets buying a house that's too small or in the wrong place. Setbacks and buffers: seems to grow trickier with time... If we sink money in the house, and with kids who can't be budgetted away, we need some idea of our backup plans. If we run into serious issues with work, or health, or the kids, all those plans can evaporate. We have seen that happen. How much money do we need in the bank? At what point could we no longer afford the mortgage, and how much margin do we want to build in before that point? How long could we skimp on retirement savings, before we're eating the future? Can you elaborate on "too small" on a house? What would happen if the house you got was too small? Related question, how important is it to you to keep up with your neighbors/ the Jones? Like if your neighbors go on a nice vacation, do you also expect to go on an equally nice vacation? Apologies if I guess wrong. Due to the time restricted nature of forums, I'll have to burst fire my questions and make assumptions as to where this conversation is going. If this was face to face, I'd ask them one at a time. Why I think it's important. I've spent more on x,y,z like vacations, goods, properties, etc etc, just because it's what everyone else claimed they were getting. I had a hard time separating what makes me happy from what other society says should make me happy. For the emergency buffer, what I've heard is that maintaining liquid (or easily liquidated) assets to fully cover at least six months of your planned recurring expenses without needing to draw from retirement saving is solid. But I think that really only applies to single income situations. If there are dual incomes, it's unlikely that both would be cut off simultaneously (as long as your income is diversified), so plan to be able to handle a six month loss of the larger of the two incomes. Anything that would increase your financial burden while stopping or radically reducing both of your incomes should be substantially mitigated by insurance. Although, having a financial disaster plan in mind (e.g. identify someone who could take you in temporarily or provide a fallback job, should something catastrophic happen) for those sorts of situations is also a good idea, even if it's unlikely you'll ever need to use it. By the way, these are just guidelines. It may be a good idea when you're young and healthy to take a few risks with respect to savings for a short time and invest in things like property or a better education that will pay off in the long term. In my case, I went without any substantial savings (and even without health insurance briefly) as I worked part time through the first couple of years of college, using essentially every penny I had to pay off my truck, rent and books (my parents were able to help with tuition to, what was then a rather affordable $1k/semester, in-state school). That allowed me to graduate with reliable transportation, no debt and a solid credit rating. Which, in turn, allowed me to start saving for a down payment on a home as soon as I started my career. Now I'm in a position to pay off my house before I turn 40 and still have more than enough savings to be able to start a small investment portfolio on top of my retirement funds. So taking a bit of risk early on can definitely pay off. That's always the big question, isn't it? What's sensible, and what's just more for the sake of more? As for size, there's a fairly hard minimum, roughly where we live now but a room larger. This house would become very crowded with growing kids. There's one 4-person household in the buidling, they don't seem too happy. If someone offered our current house at a perfect location at an attractive price, we wouldn't buy it. Beyond that it's a trade-off with price, (and location etc). In that region, 'too small' means 'wrong trade-off choice'. 5 years from now, we're probably happier with 2 extra rooms plus a higher monthly bill. Unless we run into income troubles, of course. I'm on vacation so I'll try to make this brief. I'm not happy with this advice below. Would you consider living in the small house to Save money even if you risked being unhappy? It's the equivalent of telling a claustrophobic person to stop being whiny. As an alternative, how about sweat equity. Eg you buy a small or rub down house and build an addition. It's like getting a second job, riskier and the income goes into your house. You mentioned how your kids could jeopardize both your careers. Have both of you pushed for a raise or a higher paying job? You haven't sacrificed your careers just yet, so it's a good time to ask for more. Note, i have never negotiated my salary, only asked and been denied for raises. Lastly, you seem to keep track of your budget, how closely do you track it and are you comfortable with how much you spend? Like I get a statement broken down by month and category every month. I know that my fast food spending had been rising rapidly. But I don't glean any insights beyond a resolution to bring in more leftovers. Edit. You said you had 1 kid but you sounded like you wanted to plan for more. Pooh, that's a lot of questions... I wouldn't mind living in a "too small" house for a while, if we could easily move out if we changed our minds. If you buy and then sell fairly soon, you'll easily lose all the supposed savings. We're not going to do major DIY. I don't want to discuss negotiations in public. As for tracking: I am interested how other people do this. I have seen people go to great lengths here, becoming a kind of accountants of their own lives. An ice cream after dinner goes into the groceries budget, except when you buy it on the street, then it's going-out budget. Might work for some people, but I can't see what it would do for me. I am doing a reasonably detailed split for 2015, mostly trying to tease out the effect of the kid, and to establish a sharper baseline of spending that we could fall back to. I never did that in the past, as long as the yearly savings stayed high. We always knew we could fall back to an approximation of student living if we had to, but that's no longer true. On a per-month level we track the total in and out number, with a few notes if there were exceptional expenditures or gains. I know mostly directed at Zamfir, but hey, I'll toss in my two cents. Lemme know if you want more details. I'm less fussed about money privacy than most folks. sardia wrote: Can you elaborate on "too small" on a house? What would happen if the house you got was too small? I personally, don't put importance in that. I don't know where my neighbors vacation, or when they go. Sure, I'll notice if papers are piling up outside, but I'm not really counting to see how often that happens, or inquiring as to where they are going. I also habitually live in a neighborhood that's somewhat cheaper than I could afford. I like spending a lower percentage than average on housing. Less than 25% of net take home. I figure very few people actually care about how nice of chairs I have, or how awesome my car is. If they really don't care, save for "keeping up" purposes, why should I care about their opinion on the matter? What actual value will I derive from their opinion? Sure, anything functional is taken care of(grass is cut just frequently enough to not get fined by the city, for instance), but I can't be bothered to care about the treadmill for it's own sake. sardia wrote: I'm on vacation so I'll try to make this brief. It's a tradeoff for the former. There's always things in life that make you unhappy, it's a question of how much. I mean, sure, in a perfect world, I could skip going to work or whatever, but that's not on the table. In general, I find that too large of a house just results in a lot of crap piling up in storage spaces, and it not contributing greatly to happiness in the long term, whereas feeling constantly tight on money is wearing. I CAN manage money very efficiently, but I find it relaxing not to have to stare at the price on the gas pump while filling up, or consider if I can afford to go out to eat. Having some cushion lets you do that. There's value there, and once you've gone to the trouble of building that cushion, it's less trouble to maintain it. For me, happiness seems to come mostly from improved capabilites. The fact that I can afford to drop a grand on my car if it breaks down with zero notice is nice, even if it doesn't actually happen. If you optimize out the daily frustrations, you can tackle bigger goals. Sweat equity is the best. I am *very* good at building things, and routinely save money by building things myself. I've actually shifted over to doing less recently...don't do my own oil changes anymore, for instance. It's sort of a time/money saved/how much I dislike it tradeoff. But it's almost always considered when making significant purchases. I do not budget personal spending whatsoever, really. I have budgetted(and mostly automated) saving that happens up front. At this point, I'm used to spending comfortably under what I have post-bills, post-savings, so it requires no real planning. Automation helps with this. Monthly paychecks also helps, because, after the initial adjustment, it's really nice to schedule all your bills to hit just after payday, and have zero concerns about planning for money from the good paycheck to flow over to the bad. I have certain practices I engage in to minimize wasted spending, but it doesn't revolve around a schedule. If I spend three times as much at the supermarket this month compared to last isn't actually important if I'm merely stocking durable goods at low cost. On the flip side, for my business, I know exactly how the money flows in, out, etc, it's firewalled from my personal finances, and I can pull up very detailed, up to the minute metrics on basically anything. Even with automation, it's a lot more work. However, due to how taxes work, it's basically required. I did track personal finances in greater detail when I had much less money, and was building my personal finances to this state, though. At some point, I suppose I'll have to optimize credit score for homebuying again. I find that much less enjoyable for some reason, not sure why. sardia wrote: How would you know what you'll love and use forever(defined as long enough to obtain monetary savings over buying several inferior products)? Combine all your experience, intuition, and a hefty amount of research. If you're thinking of it in terms of price per time unit or per unit of thing produced (amount of fun had playing a game, number of meals cooked, etc. ), you can think of the time you spend researching a product as an addition to the price. And if you do that, you will probably find that it's a fairly small increase in investment for a significant increase in effect. The best research you can do, both in efficiency and in accuracy, is of course to go somewhere and try the product. Looking at a chair? Go to the store and sit in it. Buying a film? Watch a preview file to assure the video and audio quality is right. Getting a car? For gosh's sake, test drive it. You can also make up for a certain lack in experience with other people's experience. Ask around, aggregate impressions. If there's one thing the internet has a lot of, it's reports of faults and flaws in products (sometimes in all caps). I spent months researching keyboards, learning about switches and keycaps and mounting plates, and going to stores to touch them before I decided which one would be right for me. As a result I'm very happy with this board that I've been using for eight hours a day for the better part of three years now. It was definitely worth it over buying the first thing I came across and finding a design flaw in it a week down the line. sardia wrote: Take cooking, I love to cook, but what is the super high quality item that I would love to use forever? A nice pair of saibashi. You'll use them every day. sardia wrote: I do agree with the idea of finding something you love and doing it forever vs jumping from one new thing to another. I.e. I own only 2-3 games and they have thousands of hours on them. My friends have dozens of games and have new ones coming every month. I've seen them jump from one new thing to another, I've been burned by the game abandonment syndrome too many times. This one specifically very interesting to me. 1. Some games I play for pure entertainment value, and you can get copious hours of entertainment with next to zero monetary investment. Starcraft, Tetris, EVE Online, Street Fighter, League of Legends, are just some examples of games I've spent less than $30 on and squeezed hundreds of hours out of (well, 10000+ in the case of EVE (which Wolframalpha helpfully suggests is about three hours per day for nine years, or approximately five billion miles)). 2. Some games I play to have a specific experience. This is like going to the movies. You weigh the cost of the movie ticket versus sitting in a sweaty theatre for two hours, and decide if that discrete price is worth that discrete experience. I don't buy a ton of these games - I tend to have different needs when it comes to buying a thing and having fun with it once, such as plastic crack. But a game that comes to mind in this category is Shelter. It's a short, discrete, linear game with a nice theme, and delivers narrative in a totally unique way (as far as I know - I can't think of any other game that uses the mechanical gameplay as a medium to deliver a story, although I wish all games did). It's a game I bought and played through essentially once, and was completely satisfied with the couple-of-hours long experience it had given me for the price. 3. Some games I buy mostly just to collect. There's really no conceivable reason why I need to own every iteration of Monster Hunter Freedom in the horrible UMD format of the PSP, but by golly if I'm not going to own every iteration of Monster Hunter Freedom in all their tiny-compact-disc-inside-a-plastic-shell glory. There's just something about physical games that gets me all fired up. I love my copy of Dark Souls with the beautiful hardcover artbook. I love my Shadow of the Colossus in the paper case with concept art postcards. I love my feelies. And if I didn't live in bumf***, North Pole, I'd be the kind of guy digging through mouldy boxes at a flea market, searching for old big box adventure games. So, in conclusion, it really depends on how you measure quality and value. And price isn't always proportional to that measurement. I buy coffee that happens to be expensive because I enjoy the taste. I buy the cheapest soap because it happens to excel in getting dirt off my hands, as opposed to the more expensive soap with lots of tangential effects like moisturising or smelling nice. sardia wrote: I never considered an employee as an investment before. An employee is most assuredly an investment. For one you're already putting in precious time and money just going through the process of hiring someone, no matter what you do as a company. More often than not, you'll have a huge cost, indirectly or directly, associated with training and acclimating that new hire to function in your company. An acquaintance told me that in a certain national chain (think 7-Eleven), hiring a convenience store manager equates to about $35000 in time and expenses, so you want to make sure you pick the right person, or you'll be forking out another 35 grand the next month when you have to fire them and hire someone else. Sorry, Outside called for a bit. responding to it, sardia wrote: Related question, how important is it to you to keep up with your neighbors/ the Jones? Like if your neighbors go on a nice vacation, do you also expect to go on an equally nice vacation? For me, two toots about the Jones' I don't give. They are different people, with different circumstances, different goals, and different things that make them happy. I'm not going to live their life, neither by proxy nor by imitation; I'm going to live my life, doing what makes me feel good. sardia wrote: I had a hard time separating what makes me happy from what other society says should make me happy. ...and that's a prime example of why it's important to sit down and think about your own goals and your own stage in life, before talking money. Money is a means to an end, and you'll be best served by it when you know the end you want. A very big first step is knowing the end that it's not you that wants. You'll avoid living somebody else's life with your own money that way! Another aspect of money is what country you live in... different countries have different tax (and subsidy) situations. Some are vastly different. My experience is in the United States. Whether sweat equity is a good idea or not depends on your own abilities and motivation in that area. It can actually be educational, entertaining and secure (in that you will probably not fire yourself!). But it is also time intensive. Some do extremely well this way. Others never get very far after spending the money on tools. Start small, and then you'll know whether this is for you or not. (Do you enjoy set building at the local community theater?) Personally, I'm a do-it-yourself guy: I hate to pay somebody to do something I could do myself. I do much of my own auto work, I'm doing the basement renovation myself, and I keep using the old stuff until even the thrift shop won't take it. I've driven every one of my cars until they literally won't go any more (or in one case, wouldn't stop). I got the very last mile out of all of them. true story: On a trip to the Dominican Republic, Codetel refused to activate the cell phone I had been using in the States because it was too antiquated. A year later Verizon wouldn't let me use it any more either. And I saw an example of the Palm Pilot I had just replaced (with another Palm) in a museum. In the Dominican Republic. Tracking household expenses: I don't do it. I have a fairly good idea of where the money is going, where I'd need to cut back if I had to reduce spending, and where I have room. I have a good idea of what is "need" and what is "want". Since I also have my own business, I have to review cash flow anyway, but I don't formally budget. Mainly, I just spend less than I make. That's the first key to accumulation: "want less". It's easier than "make more". It's a corrolary to "reduce, reuse, recycle". Money: what you need when you run out of brains. Hello everyone I am new to this forum and I came across this very interesting forum topic discussion and thought I would join in. Money is everything to me and a lot of people when I have money I am over the moon and very happy however when I don't I feel like I have worked for nothing and have nothing to look forward to in the future. I just wanted to ask if you any you can help me find new ways to set aside and save up some money without caving in and taking money out and spending it on little things that I feel I need but don't. Any suggestions? What do you mean by the phrase "and a lot of people"? As to your question, are you looking for mechanical methods (e.g. "put the first $x you make each week into a long term CD") or new ways of thinking about money so that you don't feel compelled to "cave in" and spend it? By the way you phrase the question, it seems that money isn't really the issue, but rather, how you think about it (or how it makes you think about yourself). * What is it specifically about money that makes it control your happiness? * Are you salaried, part time, freelance, or a business owner? (This question pertains to the steadiness or quixoticness of your income stream, and thus, to the ease and effectiveness of mechanical methods of saving). By the way you word your question, it seems your income is irregular. * How does spending money feel? (and why?) After you've bought that thing, does the thing itself make you happy? Or do you wish you could return it (i.e. it was the buying, not the having or using of it that was fun)? * How little are the "little things" you're talking about? Buying an ice cream cone every now and then to ease your day is ok, buying a $5000 bicycle for that same reason probably isn't. Bunnies5 wrote: Hello everyone I am new to this forum and I came across this very interesting forum topic discussion and thought I would join in. Money is everything to me and a lot of people when I have money I am over the moon and very happy however when I don't I feel like I have worked for nothing and have nothing to look forward to in the future. I just wanted to ask if you any you can help me find new ways to set aside and save up some money without caving in and taking money out and spending it on little things that I feel I need but don't. Any suggestions? Depending on how irregular your income is, the advice will either be set up an automatic savings (request your employer set aside money from your paycheck, and send it to a savings account) or to you setting aside money yourself. Take $20 bucks out of each paycheck, and put it into a savings account. Once you get about a few months pay in there, (barring an emergency like your car breaking down) you buy some shares in a cheap mutual fund for the S&P 500. Any discount online broker will provide you a low cost access to these mutual funds. Alternately, if you have a regular income, you can have the discount broker automatically deposit a monthly amount into the mutual fund. And you started saving for life. Once you get $10,000 saved up, there are other options, but for now that's pretty much it. Ideally you want an automatic system. Does anyone intend to increase their proportion of bonds to shares as they get older? It makes sense until you consider you might actually give some of these stocks to your kids instead. Assuming all of us followed the preferred allocation, our family’s financial assets would collectively be less than 50 percent equities because my wife and I have a lot more money than our children. But if we died in a plane crash tomorrow, and the children inherited our money, the recommendation for how to allocate those same assets would shoot up to 90 percent stocks. I think as you get richer and richer, this advice matters a lot more. But it might matter for those of a working family making less than the average pay in the US per year. If I suddenly die in a plane crash I imagine my kids can then reinvest the money into stocks as necessary after I'm gone. I presume if you want to have an inheritance left to give your children it would make sense to keep the money in things that will continue to grow, provided you have some way to secure your own retirement time. One aspect of the idea of taking on less risk as one ages is that, earlier in life, one has the time to recover from a loss by making money the old fashioned way. Later in life, there is less time for recovery. It is of course presumed that the ultimate user of the money would be you; anything left over that gets inherited is just gravy for the beneficiaries. These beneficiaries are usually not being counted upon as a resource (i.e. "I'll take a risk at 80, because if it goes sour, my kids will just work harder to support me and make up the loss, and that's just dandy."). If, OTOH, you are investing for your beneficiaries, and you are not yourself the planned ultimate user of the money, then it would make sense not to alter one's risk tolerance as one ages. This is more the case when one already has a substantial estate with a big cushion of plenty to live on. At that point, you're pretty much running a foundation, not a personal investment portfolio. And if you've gotten that far, you should be answering investment questions instead of asking them. I do not. The presumed security of bonds seems kind of marginal, and the lower returns, ehh. I mean, sure, have liquid access to what you need, but if you build up *enough* of a pile, then taking a higher risk/reward stance seems doable. I carry minimal bonds(maybe 10%), solely for diversification purposes, and cheerfully ignore reccomended spreads. Generic advice is fine for most people most of the time, but if you understand how things work, you can do a good deal better for your personal situation. Barring prolonged unemployment, which seems...wildly unlikely for me, I don't forsee significant money problems ever, really. Automated saving, etc is definitely amazing. Cash in pocket is...just going to get spent. It's the nature of it. Money in a checking account, also likely to be spent. Not necessarily in any big event, just throughout life, distributed across many tiny decisions. If you boost your savings rate as you get a raise, though, to absorb some of the raise, it's easier to avoid unconciously raising your standard of living above what it should be at. I think automating bills is also helpful. In part because it avoids fees, sure, but there's also psychological aspects. Focusing on money too much can feel exausting. The more you can make it easy to avoid errors or complications, the more you'll feel like dealing with positive developments, instead of simply being satisfied with making it through another month. In theory, it would be nice if each generation were investing for the next, but this is definitely not what I got born into, and as I'm not particularly pursuing kids, it's unlikely I'll directly donate in such a way. And there's the practical difficulty of learning to manage money being a skill that takes a while to develop. Younger folks making rough financial decisions is to be expected. Anything's tougher with less experience. I think the auto Bill pay is at the least, a mixed bag. Isn't the idea you spend more if you use auto pay? sardia wrote: I think the auto Bill pay is at the least, a mixed bag. Isn't the idea you spend more if you use auto pay? For stuff like credit cards and such, I can imagine that being true. But for recurring payments (phone plan and such) and for constant-use stuff (gas, maybe power as well) I don't think that's a problem. No, the decision to spend (or not) is made when you pull the card out, not when you pay the bill. For auto-paying the CC out of your bank account, it's a non-issue - you've either spent the money, or not. For auto-paying recurring payments, I suppose it frees you from deciding to not spend the money this month (thus increasing spending), but most such items are not things you are likely to decide on every month - e.g. the cable tv bill or the phone bill. You still get the bill, you still know what you're spending, you can still decide "Enough already!". But you won't get hit with late payment penalties because you forgot. I think one thing that leads to more spending is thinking about it a month at a time. $95/mo for cable doesn't sound like much, but it's over a thousand dollars a year. For television. Looked at that way, there is surely a better place to put your money (and time!). But paying month by month it all creeps up on you. I use auto-pay for pretty much everything I can assign to a credit card for no fee. But I will not allow autopay from my bank account. If there's mustard, I'm just out the money, whereas if there's mustard on my CC account, I can charge it back. (Ditto debit card use: CC wins for the same reason). I disagree - obviously you'll have to pay your bill, but you'll be aware of it. If you put auto-pay on your credit card payments, it's easier not to think about money at all - you just take out your card to pay for something and it magically happens, and you don't necessarily have to confront your choices until stuff gets really bad. Personally, I feel I have enough responsibility to check my card often enough that I would feel comfortable using auto-pay for it. But I can easily see how it won't be good for everyone, and might enable bad habits. The purpose is mostly to reduce costs for the company. They LOVE when they no longer have to mail physical bills, etc. Subscription models are sort of a "keep them spending after they've given up using it" thing, though. A gym subscription is particularly notorious for this. Auto-paying your water bill or your power bill is unlikely to cause any real trouble...just, if you time it right, that money is basically out of sight, out of mind, and the bill always gets paid on time. Likewise, automatically making payments on your credit cards is generally a good thing. It only really causes a hiccup once it's paid off, but...not in a bad way, mostly. You just get a check back for the overpayment from the CC company. Basically, all your normal bills are fine, but don't try to add a whole ton of consumer service subscriptions. Those'll bleed you dry. I thought there were studies that showed you spend more if you don't think about pulling out money, aka a credit card. I fall into this trap constantly, where I'll spend more to get a higher percentage savings. I don't understand the allure but I convert everything into percentages or units per dollar. sardia wrote: I thought there were studies that showed you spend more if you don't think about pulling out money, aka a credit card. It's a little different, it's about paying with cash money as opposed to paying by card, if memory serves. Time of purchase studies on impulse shopping. There's some merit to minimizing credit card usage altogether, but...it can be hard. I'm burning mine down(and many of my debts are just gone now), but it's a grind. And to some extent, if you care about credit rating, for house purchases and the like, you HAVE to use credit to some degree. Used to get me, too. So, I started using a different metric. Units I will use. If it's toilet paper, yes, I am 100% likely to use all of it. So, no difference. If it's say, vegetables, each additional unit is increasingly likely to be left in my fridge until it dies. So, the actual units consumed goes up very modestly, and the increased benefit rapidly diminishes with larger quantities. Sometimes, as with super sized fries or whatever, when I'm not that hungry, I view the added items as of negative value. More inducement to overconsume. It might not sound hard, but...it's REALLY easy when calculating value to treat all units as of equal value. Less calculation, for one thing. And the idea of getting a "deal" is attractive. And you can use the "I saved x%" for literally everything. As the article says, focusing on units over percents is really helpful. I do think that growing up poor does bake in some skills here. I do well now, but I can often suddenly tell that a coworker grew up with or without money by how they act. Good article. Time for a more traditional consideration on finance for a worker who has a 401k fund. The below funds are very similar to my choice(acutally even better as my expense ratios are worse and have more choices that are also bad). If I go with the 2035 TDF, the expense ratio is .77% but it is fully diversified in many different sectors including commodities and Reits. invest in multiple funds to get diversified? For me the answer was to take it on the chin, and eat the higher expense ratio. But then they suggested the Warren Buffet's wife investing rule. Shovel 90% in the cheapest SP500 mutual fund and leave the rest in ultrasafe bonds (aka cash). The idea that diversification wasn't worth the .40 to .60 % points was surprising, mostly because I didn't think about what the average replacement value added(I think that's the term) for having that quality was. I thought being diversified would be worth it at first, but having guaranteed lower annual costs is probably better, even if you only investing in the top 500 companies in the US.